Our mission is to help people in our community achieve their highest level of independence through the power of work. Goodwill SCWI serves South Central Wisconsin communities in 14 counties through retail stores and donation centers. Your donations stay local and help to fund local services. While Goodwill is an international brand, each region is run as an independent business, enabling each Goodwill store to focus on the needs in their local area. Goodwill SCWI operates in 14 Wisconsin counties, meaning everything from your donations to our services stay within our communities. Everyone can work! Through Goodwill SCWI’s Supported Employment program, adults with disabilities enjoy greater independence and confidence working in the community. Goodwill establishes partnerships with local employers and assigns job coaches to support participants in their work. Planet Earth benefits when you reduce, reuse and recycle through Goodwill SCWI. Your donations help divert millions of pounds of items from local landfills each year. 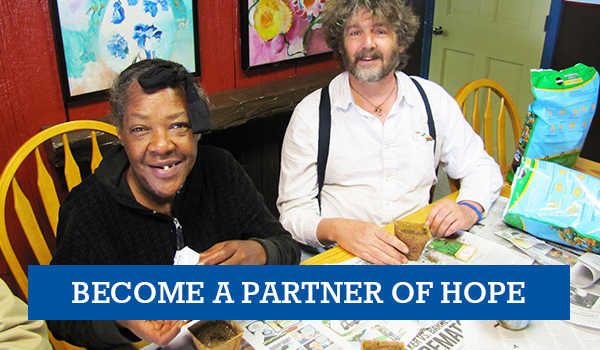 Individuals with chronic mental illness or other challenges find stability and transition into independent living through Goodwill’s community-based group homes. Goodwill SCWI employs hundreds of local residents in a variety of positions within the Goodwill organization. Careers include positions in retail and retail management, direct care and residential services and administration. Hundreds of low-income individuals turn to Goodwill SCWI’s Volunteer Income Tax Assistance (VITA) program each year where volunteer tax professionals help people prepare their income taxes free of charge. When individuals in need are pursuing new career paths, Goodwill makes shopping vouchers available through county and other service agencies to provide assistance in purchasing clothing for job interviews and work essentials. Almost 300 employees of local, Community Based Residential Facilities (CBRFs) receive job-related sensitivity training. Human Services and Transit workers receive job-related training each year on sensitivity through Goodwill’s professional workshops. Goodwill SCWI is largely self-funded in our mission to help individuals find their highest level of independence through the power of work. Unlike many non-profits, Goodwill SCWI receives relatively little financial support from government or corporate grants. Rather, 81% of our operating funds are generated through the resale of donated goods in our retail stores. We are also proud that only 15% of our expenses go to administrative costs – a number that for most non-profits is close to 25%.